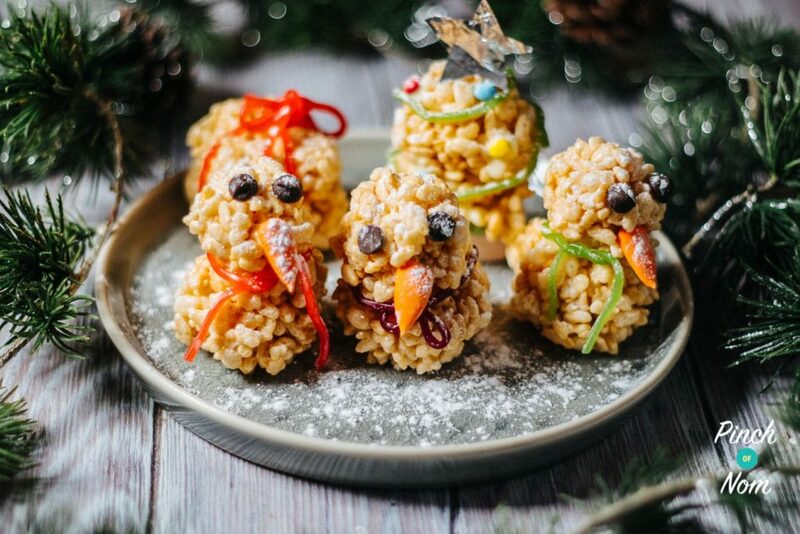 These Crispy Marshmallow Snowmen are snow fun to make, and bring some festive fun if you’re counting calories, Syns or Points! If you’re looking for something to occupy the kids, then get them involved with making these Crispy Marshmallow Snowmen! You don’t have to make them into snowmen shapes, why not try Christmas trees, presents or stars – let your imagination go wild! 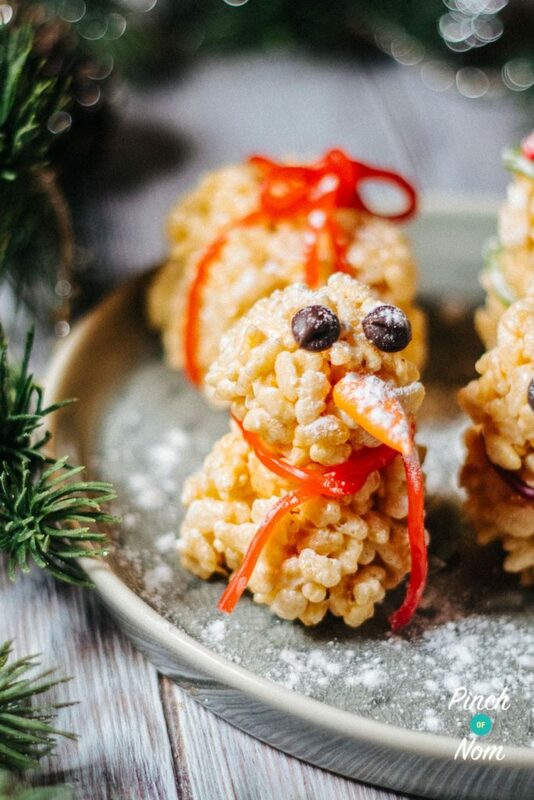 Crispy Marshmallow Snowmen would be great as part of a festive party buffet. 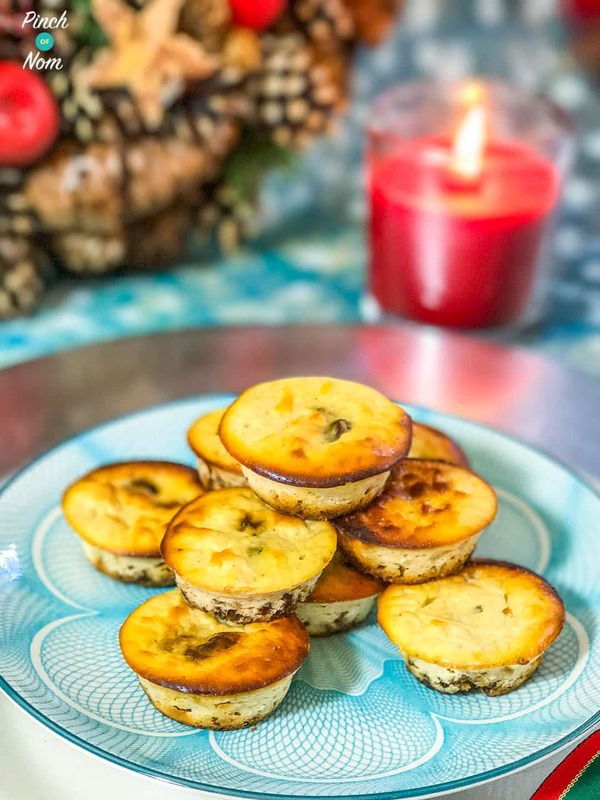 If you’re looking for some other sweet festive treats then why not try these Low Syn Mini Christmas Cheesecakes! 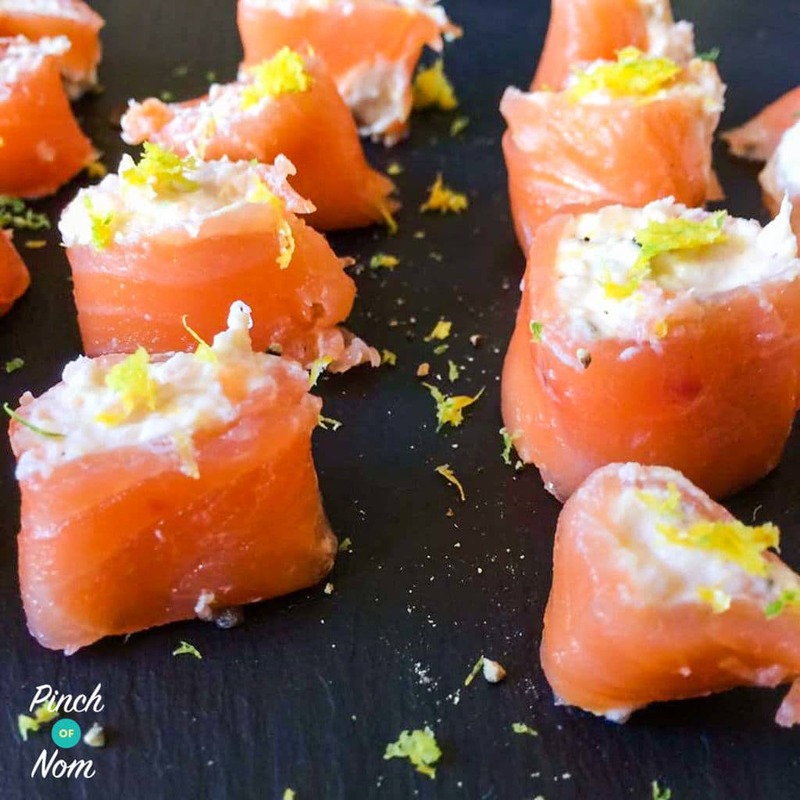 If you’re looking for some savoury canapé options then take a look at these Syn Free Smoked Salmon Canapés! 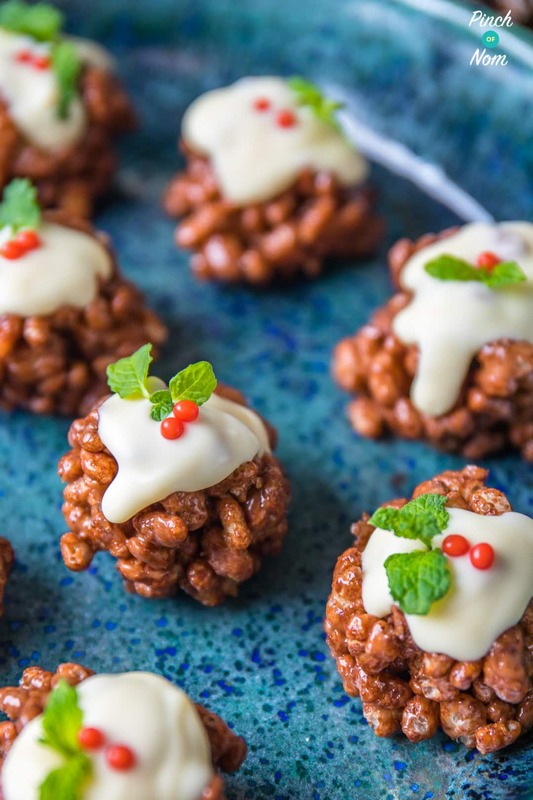 Check out all our party-friendly canapé recipes here! Love this Crispy Marshmallow Snowmen recipe? Tag us! If you make this Baked Pumpkin Cheesecake recipe, snap a pic and hashtag it #pinchofnom — We love to see your creations on Instagram, Facebook, & Twitter! What do I need to make these Crispy Marshmallow Snowmen? 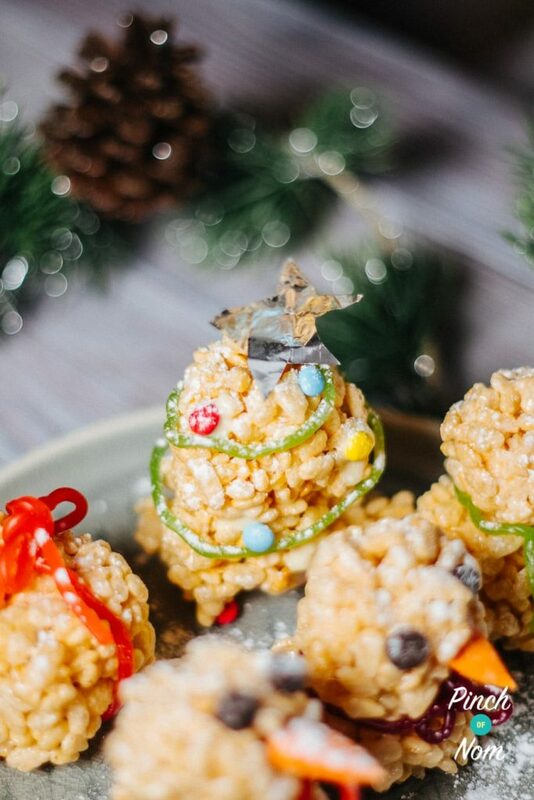 You really don’t need anything fancy to make these Crispy Marshmallow Snowmen! 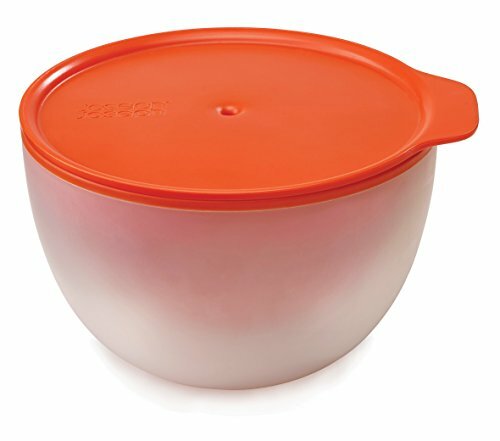 Make sure you’ve got a microwaveable bowl, you can pick one up from Amazon. You’ll also need a trustybaking tray. It’s worth getting the best one you can afford as they really last longer! 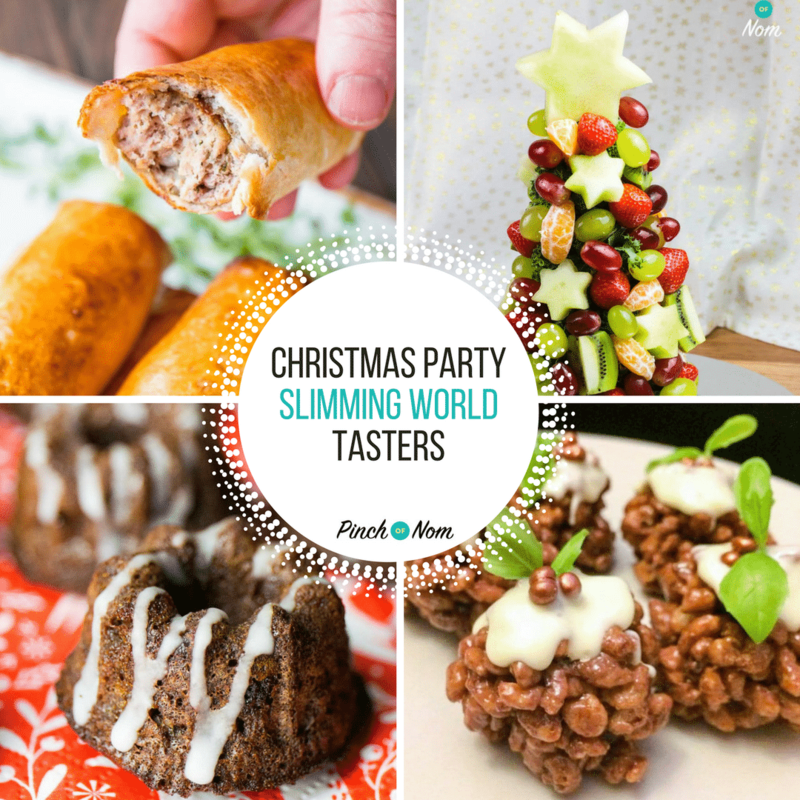 If you fancy making some other festive treat, then you’ll love these Low Syn Chocolate Crispy Christmas Puds! We’ve used Sainsbury’s No Added Sugar Marshmallows in this Crispy Marshmallow Snowmen recipe. 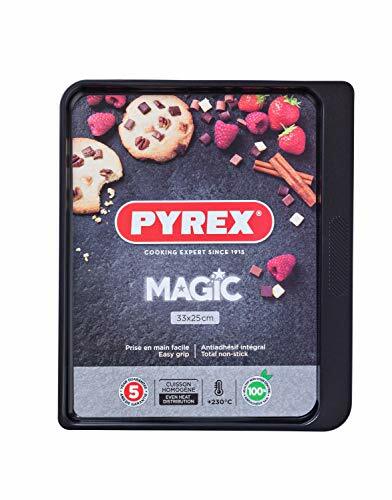 If you can’t get hold of them, then it would work just as well with normal marshmallows. Just make sure to adjust the Syns, Calories and Points accordingly! How many Calories are in this Crispy Marshmallow Snowmen recipe? There are 66 calories in these Crispy Marshmallow Snowmen, which makes them much less calorific than the shop bought version. And let’s face it, who can resist an edible snowman?! How many Syns are in these Crispy Marshmallow Snowmen? This Crispy Marshmallow Snowmen recipe works out at just 3.5 Syns per portion…and you’ll get more crispy marshmallowness than the prepackaged ones! You could even make them half sized, and errr, halve the amount of Syns! 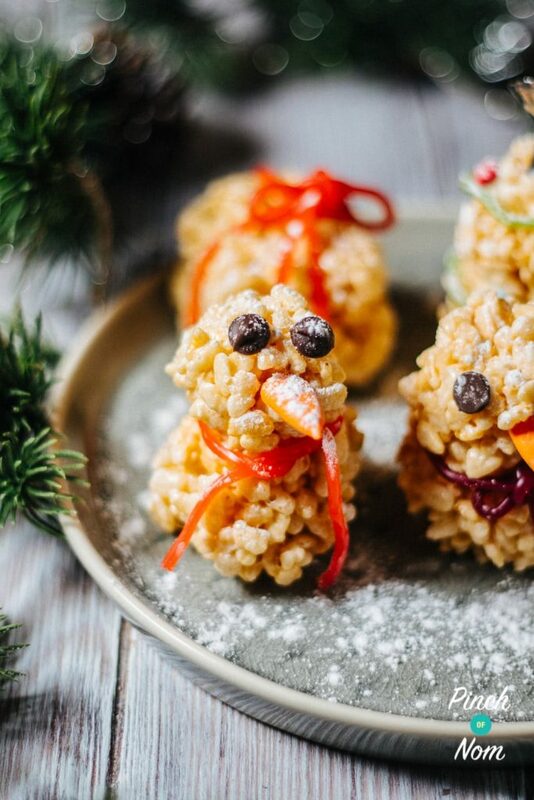 How Weight Watchers friendly are these Crispy Marshmallow Snowmen? If you’re looking for a low point seasonal snack then these Crispy Marshmallow Snowmen will be right up your snow filled alley! At only 2 Weight Watchers Smart Points, you could have two! You can use whatever decorations you like. We have rounded up the calories, Points and Syns to include what we used! 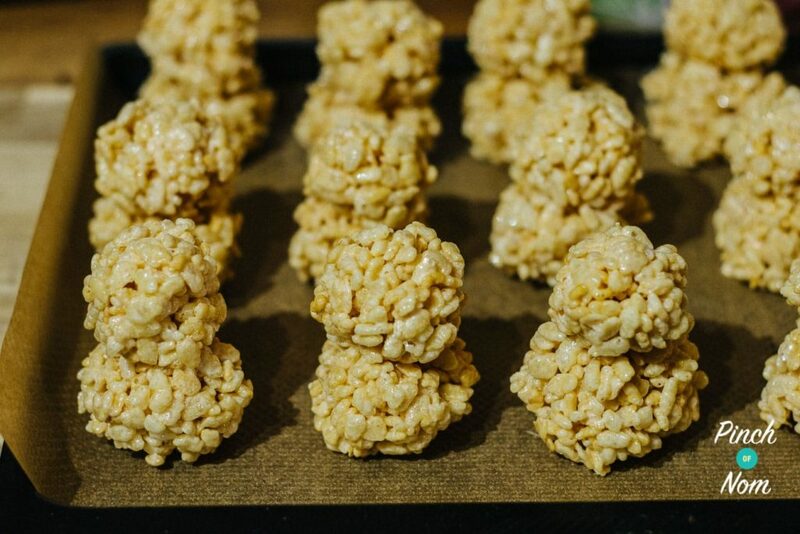 How do I make these Crispy Marshmallow Snowmen? 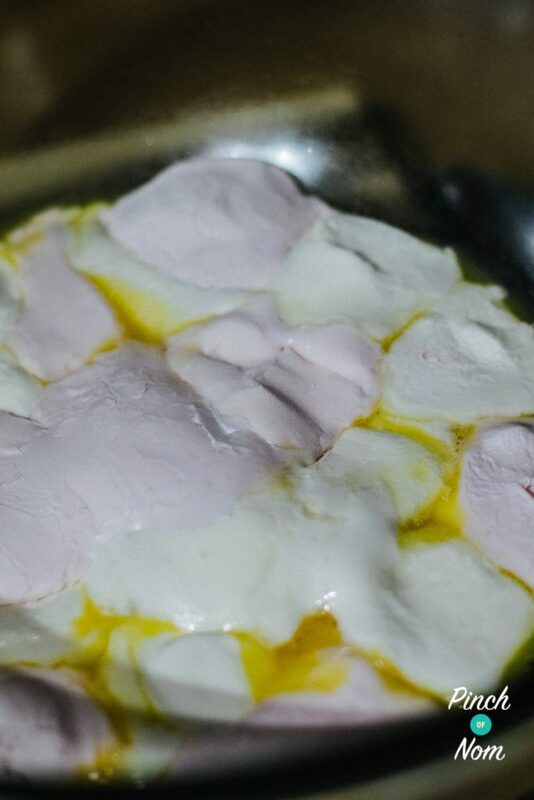 Place the No Added Sugar Marshmallows and reduced fat spread into a microwaveable bowl. Melt in the microwave in 20 second bursts to make sure it’s not overheated. 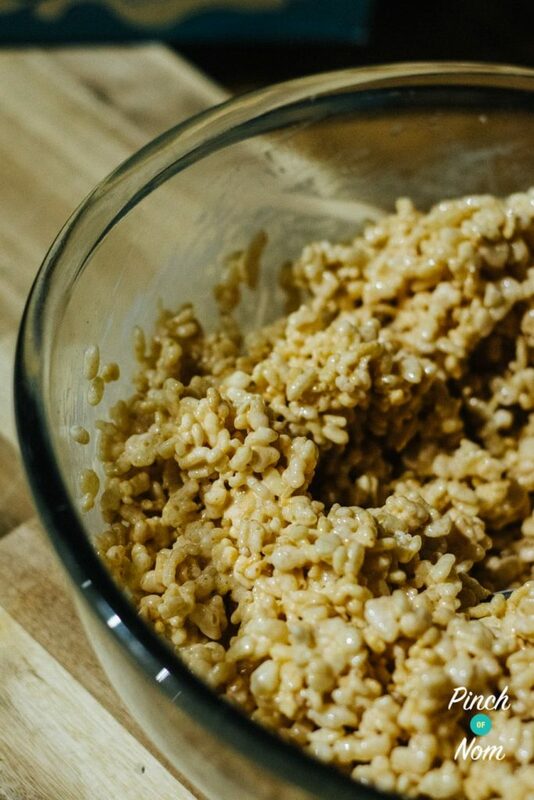 Add the Rice Krispies to the marshmallow mix and combine fully. Pop in the fridge to chill for at least 30 minutes. Once the mixture has chilled it will be really easy to shape. Create 15 “body” balls, and 15 smaller balls for the heads. Alternatively, create whatever Christmassy shapes you like! Place the heads onto the bodies using a little pressure to stick them. Decorate with your chosen items! 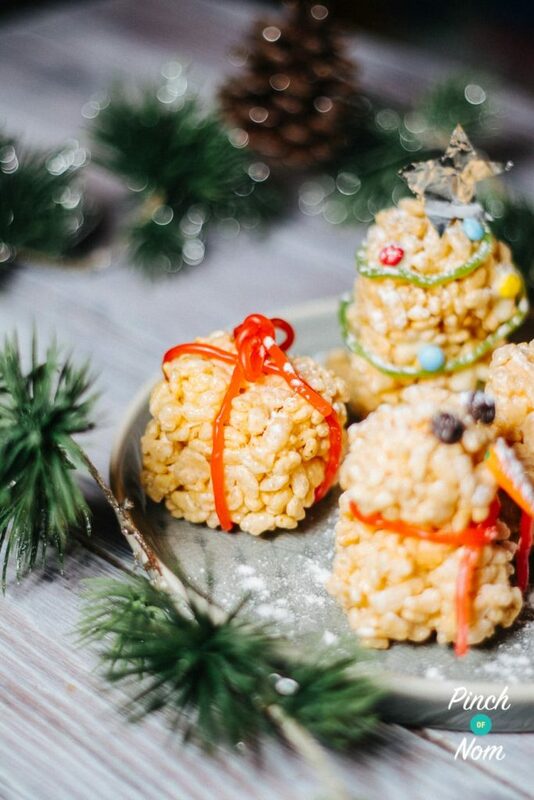 Like this Crispy Marshmallow Snowmen recipe? Why not try some more of our Christmas Canapés? Stuck for Christmas Taster ideas? We’ve got you covered! We’ve got a heap of little Christmas treats to keep you going throughout the season, take a look here! Items to decorate Sweets, fruit or nuts! 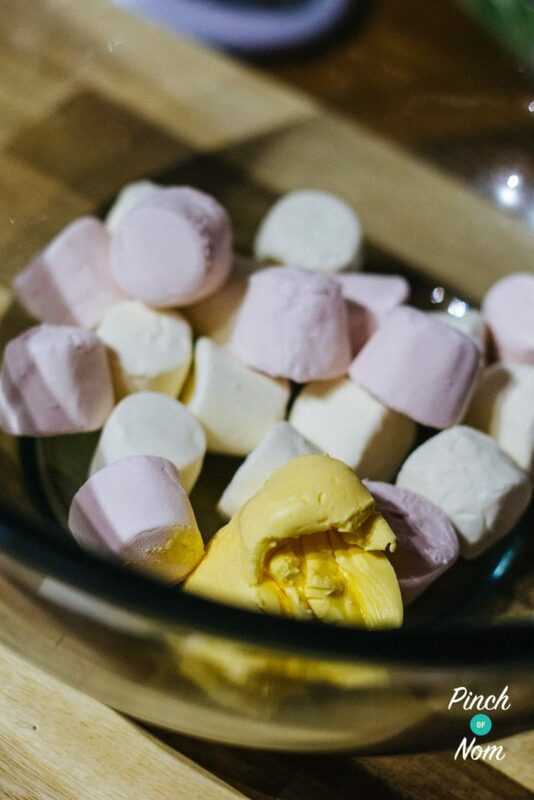 Place the No Added Sugar Marshmallows and reduced fat spread into a microwaveable bowl. Melt in the microwave in 20 second bursts to make sure it's not overheated.